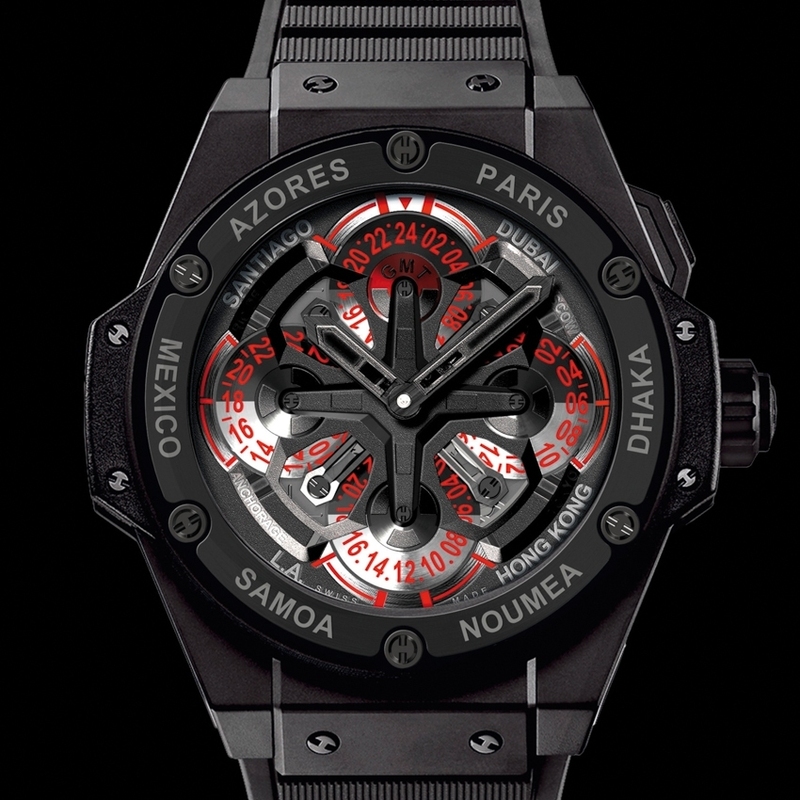 The new famous Unico chronograph movement has been treated to its first evolution, since its base now welcomes a GMT function also entirely developed and manufactured by Hublot. 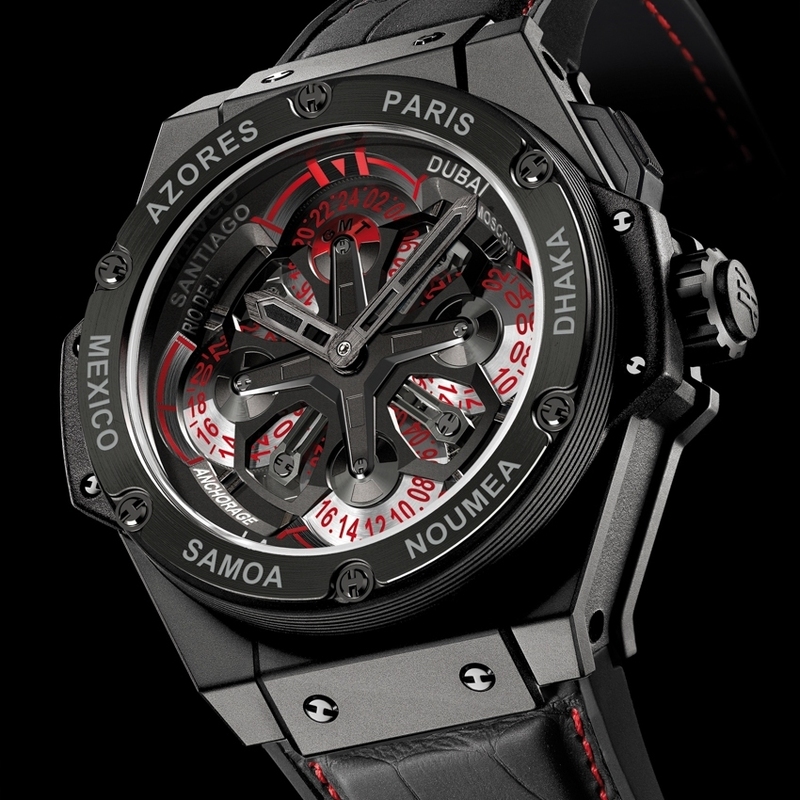 This new complication offers a clever set of 4 rotating aluminium discs indicating the same number of time zones. They are controlled by a pusher housed in the caseband at 2 o’clock and enabling instant and highly legible readings of the time in a choice of 14 cities. The 48 mm case is available in black ceramic or 18K red King Gold versions, and bears the unmistakable architectural Hublot signature. This watch with its sophisticated and functional design should appeal to travellers with a taste for fine contemporary watchmaking.